1. It’s more about listening than talking. A good social media voice begins with listening not talking. Social media listening involves responding to followers. My oldest daughter attends a school that poorly listens to their followers. I know this because they never retweet any thing from their followers. I have put out some very complimentary tweets regarding faculty and staff, all of which have been ignored. Someone’s either asleep at the twitter wheel or the school sees social media as a one-sided conversation. 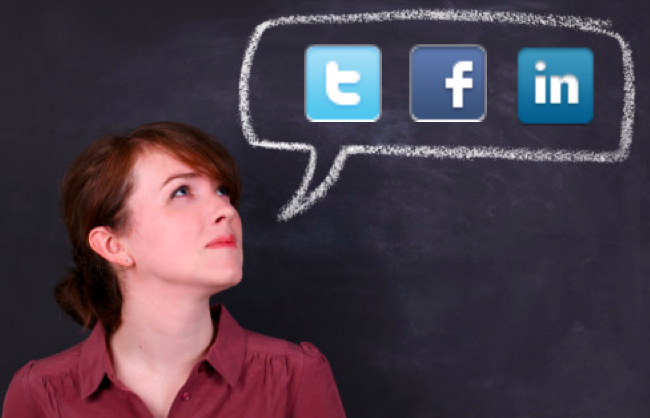 It’s important for a church’s social media voice to include the words of followers. Listening allows a church to create context for conversation rather than just a monologue. 2. It’s about being a member. Social media is not old-style push media like TV-ads in which viewers found their program interrupted by an attention grabbing message. Social media is about community. Trust is depleted when churches “hog the mic” and only use their voice to promote themselves. Churches have to learn how to use their social media voice as members of the community. 1. Sharing Your church is hosting a marriage event. Great! But instead of just using social media to promote the event, how about tweeting or posting helpful resources that have nothing to do with the event? If you see an article on-line about dealing with the loss of a spouse, share it on Twitter with a link. If you discover a podcast about getting kids back into the school routine, post a link on Facebook. These topics are important to the broader community, so why not share them in a way that says the church sees itself as a member of the community? 2. Endorsement You hear about a neighboring church planning a school-supplies drive. Instead of ignoring the event why not put out a tweet or a post alerting the community to participate. When churches use their voice on social platforms to endorse other good-will efforts, the community’s trust in the church goes up. “Can You Hear Me Now?” Find out how Second Chair Leadership can help your church discover or improve its social media voice.